What’s better than always reading up on the latest updates from your two favorite Korean skincare experts Sarah & Christine? Watching their newest segment on the biggest Korean platform for YouTube entertainment, Drama Fever! 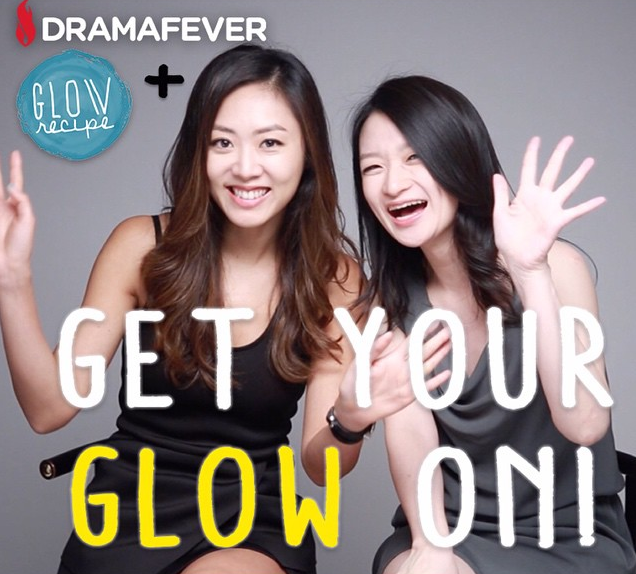 Drama Fever and Glow Recipe present “Get Your Glow On”, your virtual ticket to all the hottest tricks, trends, and curations directly from Korea. Co-Founder Sarah & Christine went directly to the source to seek out and bring back the most innovative technologies in Korean skincare to share with you so, you too, can get the glow everyone is buzzing about! Every Thursday tune in for a new segment featuring the newest trends from Korea, the up and coming launches at Glow Recipe, Sarah & Christine’s favorite tips and tricks to a glowing complexion, and so much more! Check out their first episode here & stay tuned for the newest curations and innovations from Korea today & every Thursday https://www.youtube.com/watch?v=XWQuV18nh90 ! Have suggestions, comments, or questions? Send us some love at love@glowrecipe.com. I have tried several times to get a answer to my question…. what is the name of your product that you introduced on shark tank for the eyes (puffiness, winkles, etc.)? I, for some reason, can’t find it. Please help me with the name of the product! !